installation and post installation phases. 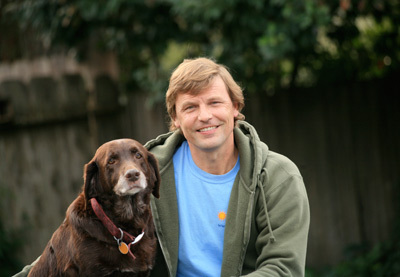 Jeff graduated in 1984 from UCSB with a BA in Business Economics and a minor in Computer Sciences. For the next 14 years Jeff pursued a career in sales, marketing and project management with a multi-billion dollar computer company, selling and installing computer systems for community banks. His primary focus was reducing and eliminating the excessive amount of paper produced by financial institutions. Deciding to make family and community a priority, Jeff and his family moved to Sebastopol, and created Coyote Moon Farm. On five acres they created a Market garden, selling vegetables, fruit, eggs and honey to farmers markets in the West County. Jeff sat on the board of the West Sonoma County Farmers Market in addition to helping create farmers markets serving this area. 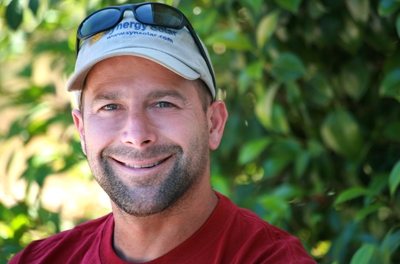 Jeff sat on the Board of Solar Sonoma County, Co-Chaired the Sonoma County PV vendor group, and continues as an active member, focusing on streamlining the permit process for solar PV in Sonoma County. Currently Jeff is a Co-Chair of the NorthBay Chapter of CALSEIA. In May of 2006, Jeff began his new career working as a journeyman electrician and solar project manager for Synergy Electrical Energy Systems Inc. (SEES). On January 1, 2007, Jeff and long time employee of SEES, Michael Pane, purchased the assets of SEES. The name was changed to Synergy Solar & Electrical Systems Inc., and the resources of the company were redirected primarily towards solar design, sales and installation. Jeff ‘s primary responsibilities for Synergy are sales consulting, solar system design, office management, customer service, and project management. Along with his knowledge of business and sales Jeff brings his passion for the environment and commitment to building community to Synergy. In 2011, Jeff received his C46 Solar contracting license. In 2013, Jeff received his NABCEP Technical Sales Professional Certificate. Jeff is a lover of the outdoors, playing volleyball, hiking, kayaking, camping and enjoying all the wonders Sonoma County offers. In 1992, his love of the outdoors and the anticipated arrival of his daughter brought Michael and his wife to Sonoma County. Michael was employed for ten years with Becoming Independent (BI), a program that supports and advocates for adults with developmental disabilities. His work at BI included capacities from direct service to management. This fostered a great pleasure and ability to work with people while developing problem solving, organization and management skills, which he brings to Synergy.